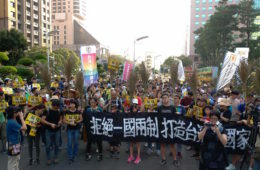 WHILE LGBTQ organizations in Taiwan such as the Taiwan Tongzhi Hotline have publicly stated that the recall vote recently faced by NPP chair Huang Kuo-Chang should be a wake-up call for LGBTQ groups in Taiwan, as a reminder of the fact that they remain opposed by a number of socially conservative forces, this also raises a question worth considering. Was it, in fact, anti-gay marriage groups which were the primary force behind the recall vote against Huang? Even among anti-gay marriage groups, the exact confluence of forces behind the recall vote remain somewhat shadowy. 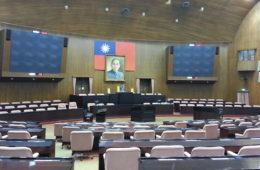 The recall vote was pushed for by the Greater Taipei Stability Power Alliance, led by its chairman, Sun Chi-Cheng. 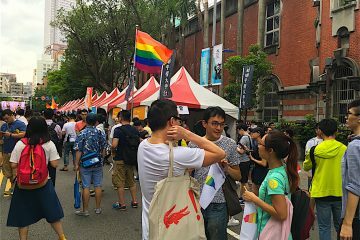 Anti-gay marriage groups made their dramatic entrance into the marriage equality debate last year, mobilizing in large numbers to demonstrate gay marriage at a time in which it was generally thought by LGBTQ groups that the passage of marriage equality in Taiwan would be fairly smooth and see limited social opposition. 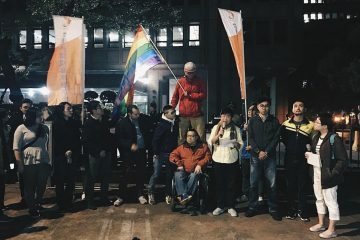 In this respect, the Greater Taipei Stability Power Alliance is the latest of a series of anti-gay groups that have fronted opposition to gay marriage, coming on the heels of the Protect the Family Alliance, the Alliance of Crying for Hope, and other groups which sought to link gay marriage to other social issues, such as drugs, or sexual education in schools. 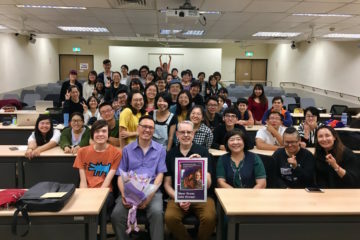 It is suspected by some that these groups may have substantial ties to anti-gay groups in other parts of the world, such as the US-based MassResistance, which would not be too surprising seeing as international anti-gay groups which originated in the US such as Exodus International have been active in Taiwan for years. But indeed, the mobilization by anti-gay groups was quite strong, and this should be cause for caution. 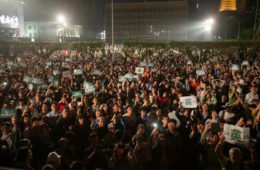 According an investigative report by Commonwealth Magazine on the issue, the Greater Taipei Stability Power Alliance mobilized 4,000 volunteers last month, with 50 volunteers mobilizing on the streets every day to conduct 2 or 3 canvassing sweeps of the streets per day and 1,500 during holidays, and over 35,000 phone calls made during this time. 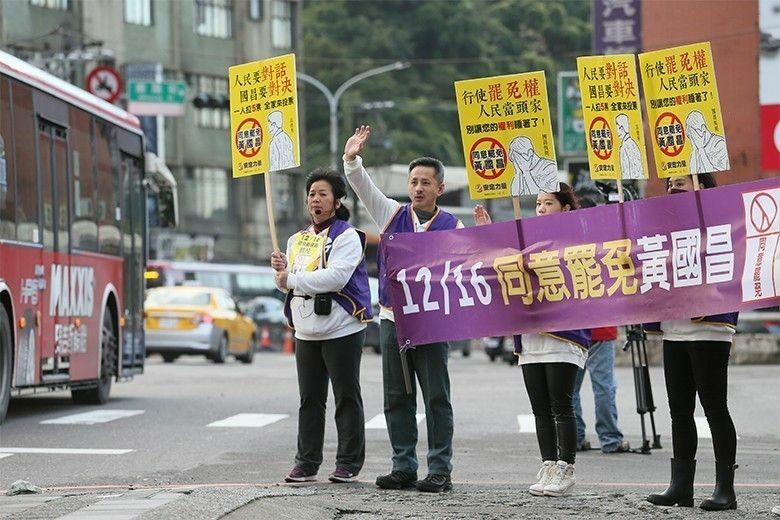 Over a dozen speaker trucks from anti-gay groups were seen daily by New Taipei 12 residents, and banners and placards were also posted throughout the district. 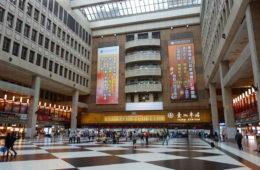 Of the church groups that mobilized, a number were not actually from New Taipei 12, but hailed from Taipei, such as mobilization by the Xinyi-based Truth Lutheran Church and several other Xinyi church groups, and Line was a major communication network used to spread information about mobilizations. On the other hand, the New Power Party, which demonstrated much fewer resources than anti-gay groups, was only able to conduct 4 to 5 canvassing sweeps of the streets weekly, versus the ability of the Greater Stability Power Alliance to mobilize daily. 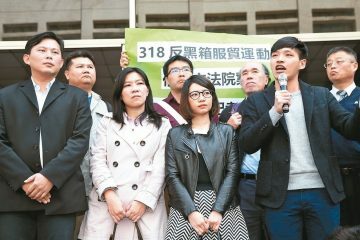 The New Power Party sought to compensate for its lack of manpower using the Internet, which was a strategy broadly adopted by Third Force parties lacking financial resources and manpower in 2016 legislative elections. 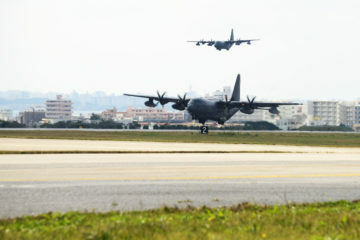 Notably, the New Power Party did not seem to initially take the recall vote seriously, only taking action when the recall had passed its first threshold, whereas the Greater Taipei Stability Power Alliance spent a year mobilizing around the issue—although it also must be kept in mind that the New Power Party had a variety of issues on its plate to focus on and not just the recall vote, whereas the Greater Taipei Stability Power Alliance had as its only focus the recall vote. 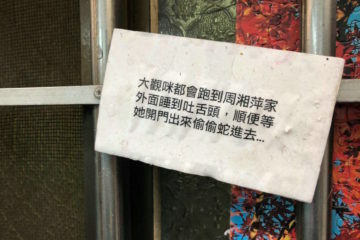 Nevertheless, as political analysts and commentators pointed out beforehand, it would have been highly likely that pan-Blue political forces would try and jump onto the bandwagon of the recall vote as a way to oust Huang. 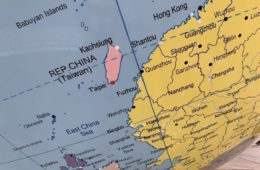 This would be not only because Huang and the NPP has been a vocal critic of the KMT in legislature going back to the time of the party’s emergence in the Sunflower Movement, but out of political interest, since the Huang’s New Taipei 12 electoral district has historically been a pan-Blue leaning district and the KMT would hope to reclaim the district after driving Huang out. This does seem to have been the case. 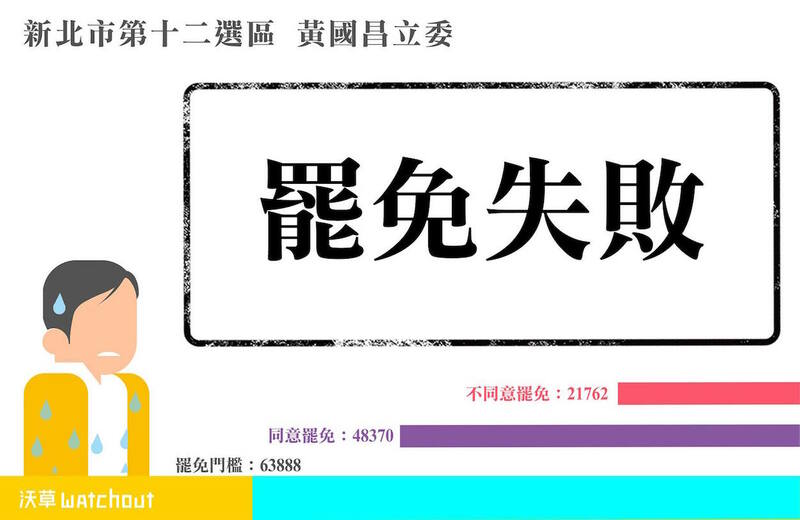 Indeed, according to the report in Commonwealth, out of the 48,370 votes against Huang, it is also thought that 20,000 votes only materialized in the last month. These seem to have come from the KMT. 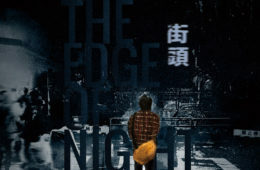 The KMT has apparently over 10,000 members in Qixing and 3,000 to 4,000 in Xizhi and Ruifang and sought mobilization goals over 50% of its members, deploying them through Line groups or networks such as organizations for retired military personnel, police, teachers, public servants, and Hung Hsiu-Chu loyalists. 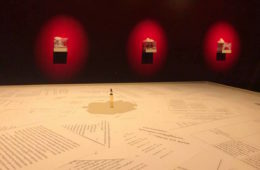 In particular, despite rising tensions between the KMT and DPP at present within legislature, some report that it was claimed by KMT organizers that “A vote against Huang is a vote against Tsai”, in order to mobilize KMT supporters with the view that the referendum against Huang was a referendum on Tsai Ing-Wen’s governance. 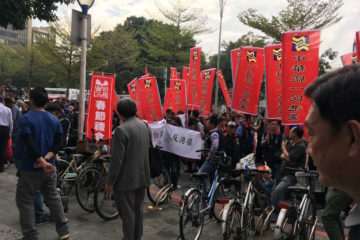 While there was, in fact, some DPP mobilization in support of Huang, this appears to have been rather limited, with only a few dozen that canvassed, 150 DPP members that joined demonstrations in support of Huang, and several DPP individual members that called for support of Huang, such as post-Sunflower Movement activist and Keelung city council candidate Jiho Chang. 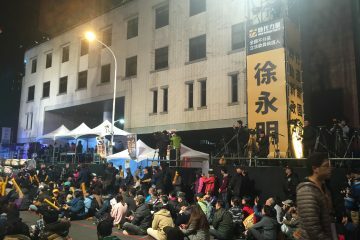 Although the central DPP party administration called for support of Huang, it appears that DPP members did not mobilize in support of Huang due to strained relations between the DPP and NPP in legislature, which may have affected DPP mobilization networks either individually or collectively. More broadly, what the results of the recall vote show is that legislators need to continue to pay attention to their local districts and that the recall system may, in fact, put pressure on legislators in the future to pay more attention to keeping up good relations with their local districts for fear of a recall. Indeed, apart from groundless criticisms claiming that the New Power Party wishes to legalize drugs or that Huang has in the past “brainwashed” individuals, one of the criticisms directed at Huang throughout the recall process by the Greater Taipei Stability Power Alliance was that Huang spent more time as a legislator paying attention to national-level politics rather than the demands of his local area. 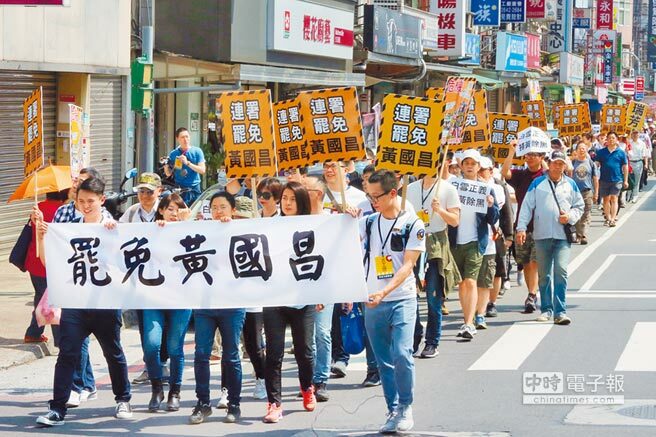 The pressure may be on for legislators to pay more attention to their local districts in the future, then, as a lesson for all politicians, seeing as referendum is a new precedent in Taiwanese politics. 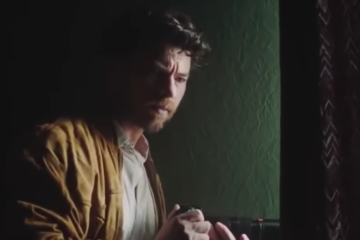 This could actually be an overall positive. 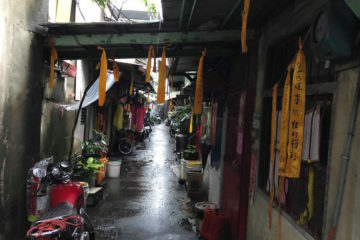 However, at the same time, this also may raise the possibility that unscrupulous legislators with a history of political corruption—such as those that post-Sunflower Movement activists hoped to target through passing referendum laws—will strengthen efforts at maintaining their clientelist networks in their home constituencies. 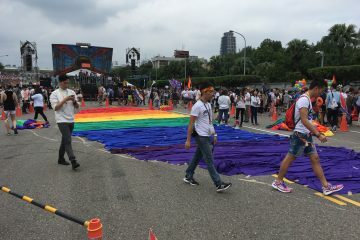 However, as also cited in Commonwealth, some also fear that the strength demonstrated by anti-gay demonstrators in particular may allow for the entrance of new, conservative political forces into legislature, with the possibility of Sun or other individuals entering into electoral politics. This remains to be seen, particularly given Sun’s poor performance during televised debates. 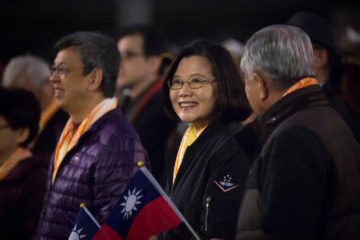 But a wave of conservative political actors entering elections would be a frightening possibility for Taiwanese politics which, after all, may be highly progressive in the present, but also contains a powerful conservative undercurrent. And the most frightening thing about such political forces is that, much as progressive civil society has demonstrated that it is unlikely to compromise on its views, so, too, may be the case for conservative political actors, who may remain active in the future. 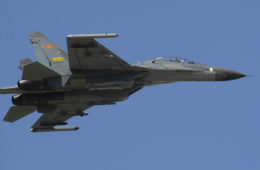 Indeed, despite the poor performance of Sun and other conservative social actors in the media, this still did not prevent large mobilization against Huang, which may be the most dangerous possibility of all—conservatives who are deeply ideological set entering politics and pushing for their conservative social vision within electoral politics in such a manner as to shift Taiwanese electoral politics to the right.